A trading system is a rule or set of rules which when the rules are adhered to a trading signal is generated and a trade is placed in the market. A system will normally have, money management rules which determine the risk the trading program is allowed to take (though not all systems do) which will include how much equity can be allocated to trading each currency pair and specific levels to exit the market. Systems can be totally automated or can have some manual input, in terms of approving trades and risk adjustment parameters. The aim of a the top currency trading systems is simple - to allow the trader who uses it, to get better market timing with their trading signals, give an objective set of rules for trading which over the long term, will give the trader profits on their equity. Of course not all systems are profitable and we will cover which are most likely to make profits later in this article. There are many different types of systems and below, we will summarize the most popular methods and logic the system is based on as well the most popular types of trading programs traders use. 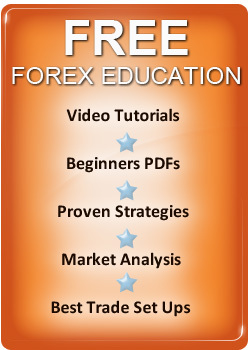 The most popular methods of trading FOREX methodologies trading systems are based on are outlined below. Systems based on price action trading look at the price only and chart support and resistance to generate trading signals. These systems don't use any indicators, the focus is simply on the price action on a chart. In terms of the chart, it can be any duration of time and some traders use simple bar charts, while other traders use candlestick charting. This form of trading is the complete opposite of price action trading and relies on complex formulas that can have various inputs which include some or all of the following - Various FOREX indicators, neural networks and artificial intelligence programming. They generally have lots of rules and parameters and the number of inputs to generate trading signals is normally complex. My own view is that any system which is based on algorithms or complex rules will tend to be unsuccessful because they will be to complex and will break in the real world of trading. FOREX breakout trading can be based on pure price action and can be more complex, using various indicators and algorithms but the aim is the same - All currency trends start and continue via breakouts and the aim is to buy important breaks of resistance or support, to go long if resistance is broken and short if support is broken. This is one of the top trading methods to base any system on in my view and is easy to understand to, making it easy to follow with discipline. range trading simply involves establishing a range in the market bounded by support and resistance and then executes trades in the currency pair when prices test the range - selling into support and buying into resistance. The idea is that until a range is broken prices will move within it and can be traded for profit. Range trading FOREX can be very effective if done in the right way and the concept like price action trading is very easy to understand and apply. There are a number of these which are popular with traders and perhaps the most famous scientific trading strategy is one based on the Fibonacci Number Sequence. Fibonacci is well a well known method of trading and is also used in two other scientific trading based systems which are based on Gann and Elliot Wave theory. All these systems have one thing in common which is the traders who use them, believe the markets move to a universal law and by knowing what it is you can predict the price movement of currencies in advance. Markets don't move to science and these methods in my view are a complete waste of time and should not be considered by traders, although they have a huge fan base, it should be obvious that markets do not move to science. Any trader who uses a strategy which trades within the day is known as a day trader and trades are opened and closed within this period. Traders who trade short term are also called scalpers and these traders are working of charts which can be covering very short term time frames of just minutes. In terms of the shortest time frames traded we have High frequency trading systems which aim to gain an advantage of speed. These systems can execute large number of lots in a split second and aim to be in and out the market as quickly as possible. FOREX trading programs based around short term trading strategies have the worst odds of success because there trading moves that are random by nature and you should generally avoid trading this time period. Its popular with retail traders as they think its a low risk way of trading but trading within the daily time frame is the highest risk form of trading you can do. Intermediate time frames tend to cover trades which last for a days to around a week at maximum and traders who trade this time frame are referred to as swing traders and they look to buy when prices are oversold and sell when there overbought, trading swings which have moved to far from the average or mean price. Automated trading programs on this time frame can work well and because trades are only normally lasting a few days, there easy to follow for traders with discipline - as profits and losses are taken quickly. The logic is also very easy to learn, understand and have confidence in. these are trading systems which aim to trade time periods and the aim is to hold these trades for more than a week and sometimes, trades can last for many months and systems which trade this time are referred to as long term trend following systems. Mechanical trading systems that trade long term time frame can give the biggest profits of all for patient disciplined traders however, very few traders like to hold long term trends as they progress because the profits get larger and retracements which reduce open equity can make this form of trading tough, when the system experiences long periods of losses when markets don't trend. In conclusion though, the best performance in terms of currency trading systems, tends to come ones which follow long term trends. Above we have given a brief outline of the major theories FOREX trading systems are based on and also the different time frames in which a system can be traded and have concluded that simple trading systems work the best in intermediate and long term time frames now we will look at finding the Best FOREX Trading System for you - there is no such thing as one program being better than all others - the one you choose will also depend on your personality and investment objectives.